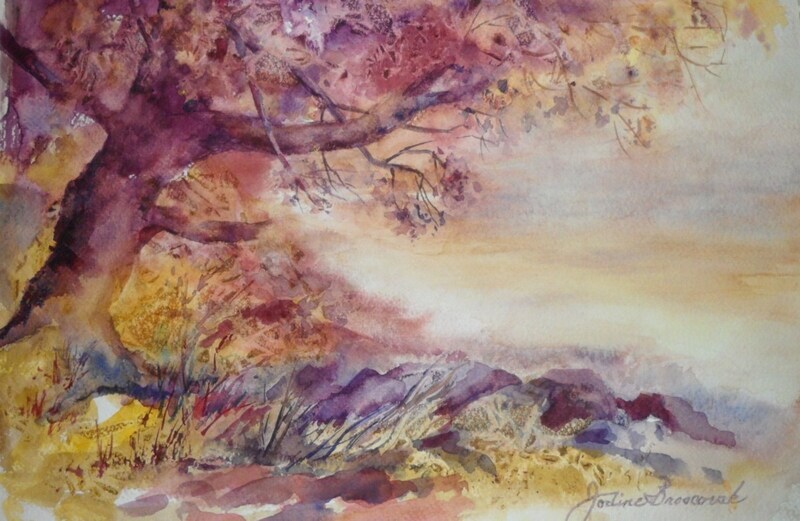 Watercolor Landscape on 140 lb. Arches Paper. Royal purple old tree who appears to be King of the hill. Original is matted and framed, included in price. Contact artist for image of framed piece.